I stumbled upon these vocation videos of the Polish Dominicans and Franciscans. If you don’t understand Polish, don’t fret, neither do I. And since there’s no talking, just music, just sit back and enjoy the brief videos. THE fun thing is just watching the Dominican Franciscan friars. You get a great sense of the spirit of the friars of both groups just by watching the life. It’s like watching a foreign film–you don’t understand the language but get the point–immediately. Video 1, video 2 and video 3. This year is Father Benedict Groeschel’s golden jubilee as a priest. That’s right! He’s 50 years a Catholic priest. Many would know him as a TV personality on EWTN; others know him as the instigator of the Friars of the Renewal, to many, he’s a friend and a great priest. Friends of his put together a beautiful, brief video of Father Benedict. Watch it, the link’s below. Pray for priests. Pray for Father Benedict. 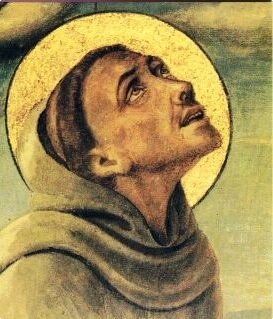 Pray for the Friars of the Renewal. A video honoring him can be seen here. Look at these beautiful young women following Christ as Poor Clare nuns of Lerma (Burgos), Spain! I can’t believe my eyes!!! They’re happy. They’re alive. They’re infectious. You’ve gotta read the CNA story (in English) here but the video in the story is in Italian with English subtitles. Also, watch another video about these same Poor Clares. Sorry, these videos are subtitled but watching them you get the point: the heart is attracted by love and joy. I want to know: do we have anything like these nuns in the USA? 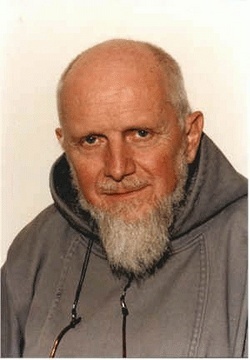 In the mid-1990s when I was in formation at Bellarmine House and a student in St Louis, Missouri, I made the acquaintance of Conventual Franciscan Father Wayne Hellman. Father Wayne was a professor of Theology at Saint Louis University, St Louis, MO. I think he was also the Friar Guardian of the local Conventual Franciscan House (St Bonaventure’s Friary) and one of the nation’s experts in Saint Bonaventure’s theology. Wayne was frequently perceived as a zaney Franciscan professor but an incredibly bright and sensitive man, one that you can easily approach. I enjoyed his company. 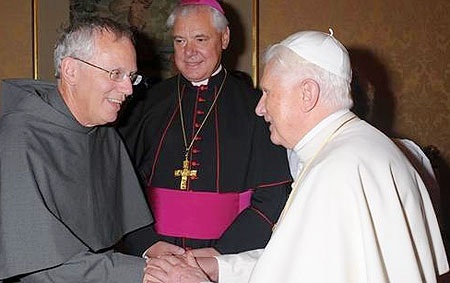 Until reading about his encounter with the young Joseph Ratzinger, didn’t I realize the interest and scope of theological formation and how he started off. The pedigree of theologians is always of interest to me because I am interested in history and trajectory. My friend David Miros sent me and a few others a striking story published in the Saint Louis University News of Father Wayne’s recent encounter with the Holy Father. Why is this striking to me and why should you read the story? Because it is a realization how the Holy Spirit works at the lowest and yet the most human of levels: the heart. Had the friars no pride? Music at deathbeds! Ah, the shame! the scandal!